This 2006 Lexus ES330 is a midsize luxury sedan with a powerful V6 engine, elegant interior design, and plenty of outstanding features. This edition is newly detailed,mdueprabl clean, extremely sharp, and drives very well. The seats and carpets are in very good condition. 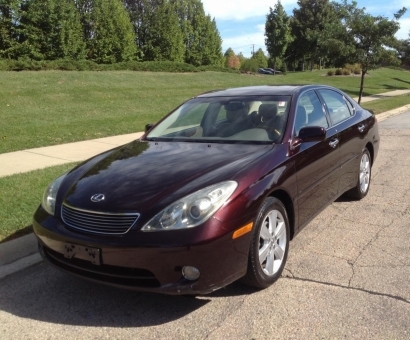 This Lexus has a terrific exterior color and a nicely appointed interior. It has beige leather seats, a taupe and beige dash, with maple wood trim and metallic accents. The ES330 will provide a plush, serene ride. It has tight handling and very comfortable seats and a spacious interior. Options include a sunroof, power seats, windows, mirrors, locks, alloy wheels, dual climate control, heated seats and mirrors, memory seats, AM-FM stereo with both cassette and CD player with 6 disc CD changer.